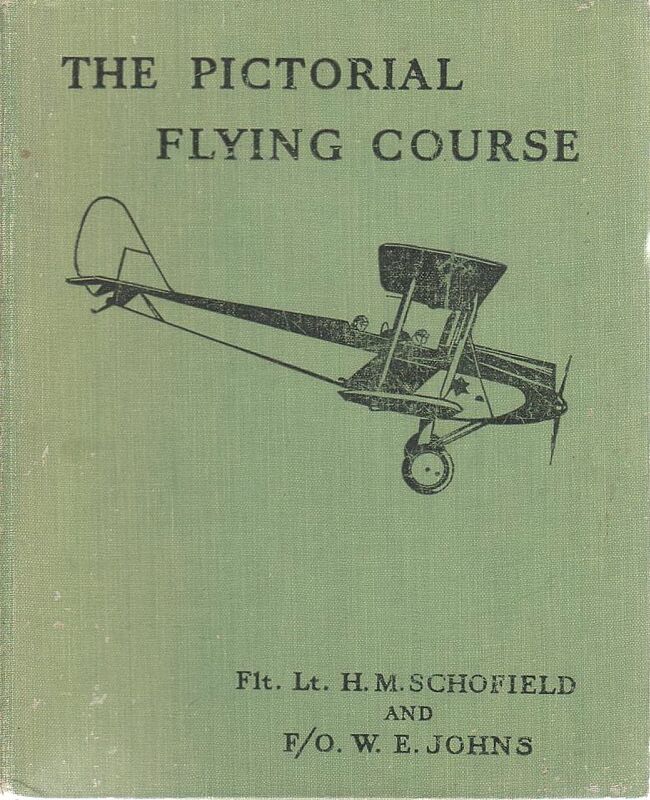 It is rather hard to summarise a "pictorial" flying course but I will try. This book is larger than usual, (being 20 cm by 24 cm) and has a short half page forward. Then from pages 9 to 95 each page generally has four black and white line illustrations (drawn by W.E. Johns I understand), (each being 8 cm by 5.5 cm) with five or six lines of text below each illustration, explaining how to fly. I have to say it does seem unexpectedly easy. The illustrations all feature a small biplane, which I believe to be a De Havilland Gypsy Moth as that is the plane on the books cover, so I am told. The text is written as if an instructor is talking to a pupil. Pages 97 to 100 are headed 'Types of Aircraft' and contain 16 photographs of real aeroplanes with brief notes underneath.